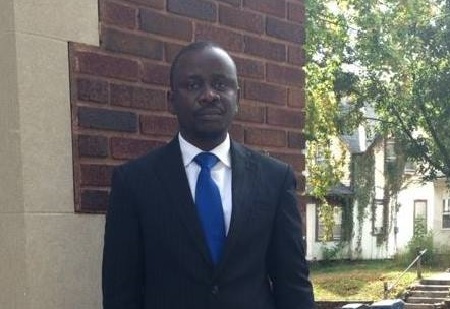 About two years ago, I was in a conversation with some people in Brooklyn Park, Minnesota, who accused the Liberian government of spending over US$ 200 million on lobbying in the United States. These individuals provided the website, www.foreignlobby.org as their source of information. I read all the reports on the website, but was curious that it was showing LISCR spending millions on lobbying. I called ProPublica and Sunlight Foundation, the two owners of the website, to get the source of their information. I was again referred to a US government website, www.fara.gov. For almost two years, I have made it my duty to learn how to navigate that website and understand the documents in there. In subsequent years, the story has grown from a basement discussion into a major social media topic. I am surprised that it is now a political hotcake in Monrovia. The information is readily available, so I do not understand the continued lingering of this issue, especially at the highest level of the government. I think political zealotry, an ineffective government bureaucracy and a press that is eager for scandal are the contributing factors. Did Liberia spend US$200,000,000 on lobbying in the United States? We will use the source, the FARA website to seek an answer. By the way, what is FARA? The Foreign Agents Registration Act (FARA) was enacted in 1938. FARA is a disclosure statute that requires persons acting as agents of foreign principals in a political or quasi-political capacity to make periodic public disclosure of their relationship with the foreign principal, as well as activities, receipts and disbursements in support of those activities. The agents being referred to here are US persons or firms. The foreign principals can either be a foreign government or a foreign company. Let it also be made clear that FARA is not solely responsible for reporting on lobbying. It reporting scope is much wider. Transactions reported to FARA are not entirely related to lobbying; all kinds of professional services are reported to that US government agency. The Lobbying Disclosure Act of 1995 (LDA), 2 U.S.C. § 1601, administered by Congress is strictly about lobbying. We will now examine the government of Liberia, its agencies and Liberian companies that have appeared in reports to congress – requirement of FARA – for the period January 2006 to December 2012. The Government of Liberia (GOL), the Ministry of Finance, the Ministry of State and Presidential Affairs and a Liberian company, AmLib United Minerals are the entities from Liberia mentioned in all the reports covering the period. The United States firms that have dealt with these entities are LISCR; KRL International; JWI, LLC; Cleary, Gottlieb, Steen & Hamilton, LLP; Radelet, Steven Charles (Center for Global Development) and BKSH & Associates. The $200M lobbying talk in Monrovia is much ado about nothing. My accounting instinct tells me that somebody is misreading reports. As shown in my table above, the claim that the government of Liberia has spent over $200,000,000 on lobbying for the period covering 1/1/2006 to 12/31/2012 is erroneous. I do not work for nor represent the Government of Liberia, but as an individual who desires an honest and sincere fight against corruption, that is void of politics, I felt constrained to provide the facts I have gleaned from study of these documents. An additional purpose of this letter is to move this conversation away from political rhetoric and sentiments to one based purely on facts and evidence. I am open to a serious rebuttal from folks who can provide solid facts contrary to those I have outlined. Some will attempt to use Alex Knotts’ Roll Call article, “Lobbying by Foreign Countries Decreases”, as one of the sources to support their argument. Knott’s article makes a passing reference to Liberia spending $45.9 M in 2010; however, he provides no data to substantiate this claim. If he used the information on the FARA website for his September 15, 2011 article, he made a faulty conclusion by including the LISCR transactions as lobbying fees. I have written him series of letters to disprove his piece, but he has not responded to my letters. Anybody can follow up with him at alexknott@rollcall.com. Thanks for giving me an opportunity to contribute to a national discourse. *My sources are semi-annual reports to congress (listed on the website) and supplemental statements for each of the registrants that dealt with Liberia in the six years (2006 to 2012).